One month, 50,000 words, one novel. 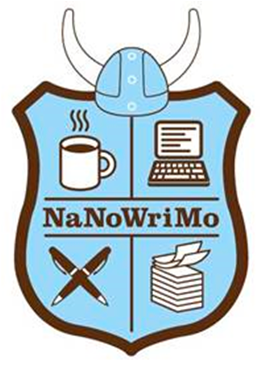 I’ve decided to challenge myself, and my [poor] organisational skills, to join the thousands of writers setting out to pen a novel in the month of November. I’ll be blogging my journey here. Please do send your encouragement/tips/chocolate on the days in which I struggle…which I’m sure will be many! In the spirit of not cheating, I’ve resisted the temptation to make ANY notes but I do have the seed of an idea in my mind. It means putting aside my current novel which is nearing completion of first draft stage but I think that’s not necessarily a bad thing. I’m hoping I’ll come back to it in December, refreshed and with a fresh pair of eyes. I’m thrilled to announce that The Sebastian Trilogy box set reached the coveted No.1 spot on the Amazon.co.uk bestseller list for its genre. Huge thanks to all who have downloaded it so far! 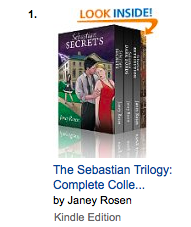 Top spot for The Sebastian Trilogy! Sebastian Trilogy – All Boxed Up! Listening to my readers, I was delighted to launch a boxed set of the Sebastian Trilogy eBooks. With free ‘Sebastian’s Journal,’ the set offers excellent value: one stop erotica in a box! The set zipped straight to number 4 in Amazon.co.uk’s top 100, erotica.